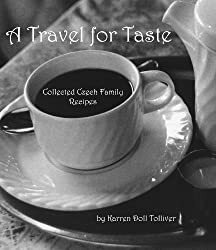 MY LATEST BOOK, NOW AVAILABLE! Who, what, when, where, why and how did I take the Photos for No Apparent Reason? In the PFNAR 2016 book, you’ll find out. Get yours today – Click here! I can see a wonderful, red, stone castle high on Crown Point hill, visible from Federal Boulevard in the Denver suburb of Westminster. You might remember the blog I posted about the Savery Savory Mushroom Can Water Tower. Well, the day I went to photograph that water tower, I impulsively decided to drive 26 more blocks further south toward Denver and find out what this the castle was all about. I didn’t even know its name at the time, nor if I could even get close to it. But it wasn’t hard to get there off the main road, and there was a school or daycare place next to it. However, not much seemed to be happening at the castle building itself. I did see the sign in the photo below that reads “KPOF Studios”, which I thought might give me a clue. On one of the archways is the inscription “Westminster University”, another clue. I was really taken with the beauty of the place and how something could look so rough-hewn yet detailed and ornate at the same time. It seemed old and wonderfully designed. No one was about that day, so I took my photos and went on my way. However, of course, I researched it all when I got home. ColoradoEncyclopedia.org has a fairly detailed article about it, but I’ll give you the high points here. 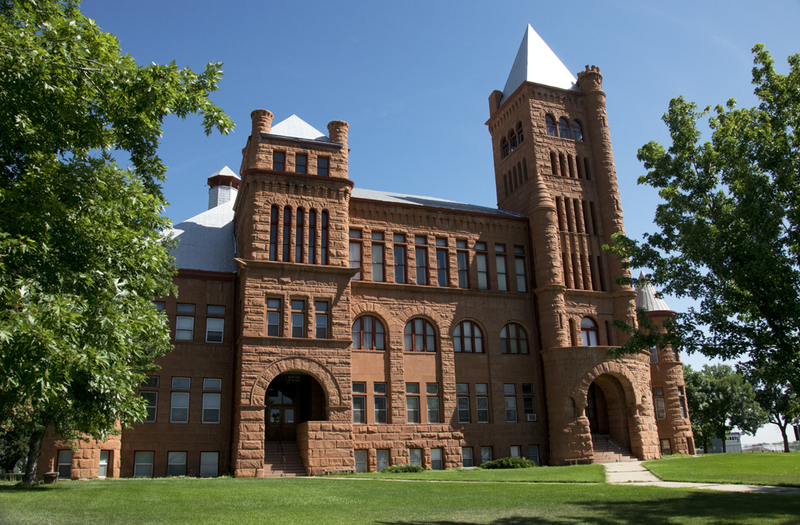 This lovely structure was started in 1892 and completed in 1893.The building was designed by E.B Gregory in the Richardsonian Romanesque style: archways, turrets, towers and rusticated stone walls (rough stone blocks with sunken joints). Input from subsequent architects and planners changed the original design somewhat, but there you go. The university didn’t open until 1908 because of the Panic of 1893, an economic crisis that, until today, I’d never heard of. 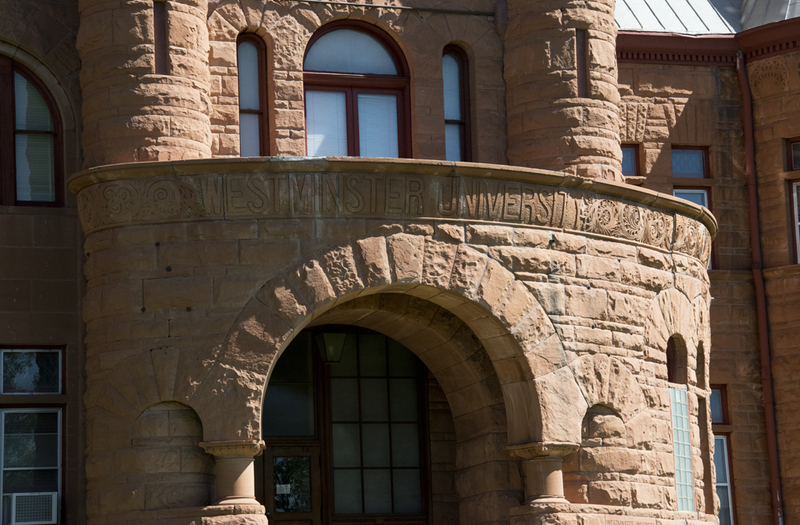 The building was planned as the main building of Westminster University of Colorado, which was a Presbyterian school aiming to be the “Princeton of the West”. Indeed, it was the main building of WU, but it closed just nine years after it opened. In that time, though, the town of Westminster was named after the university. 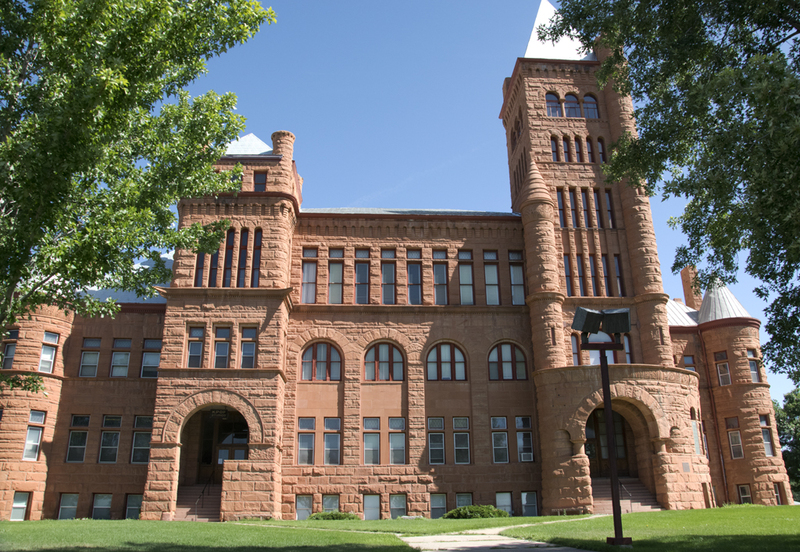 A major factor in the university’s failure, in addition to financial troubles, was that the trustees decided in 1915 to turn the coeducational school into an all-male school. Those jokers voted to arbitrarily cut their student body enrollment in half! Then, in 1917, all the young men got drafted into WWI and the school had to shut down. After that a local farmer rented the building and kept grain and chickens in it. But in 1920, a Christian group called Pillar of Fire bought the whole campus and opened the parochial Westminster College and Academy. During this time the Pillar of Fire supported the KKK (this poor building! 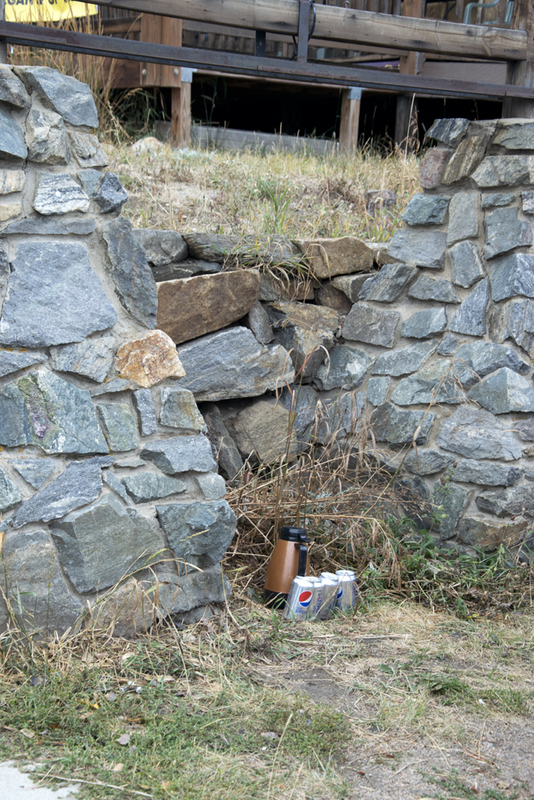 ), and the Klan burnt crosses on the hill and held a convention there. The article I read states, “Pillar of Fire later renounced its association with the Klan.” Well, I hope so! Sheesh. 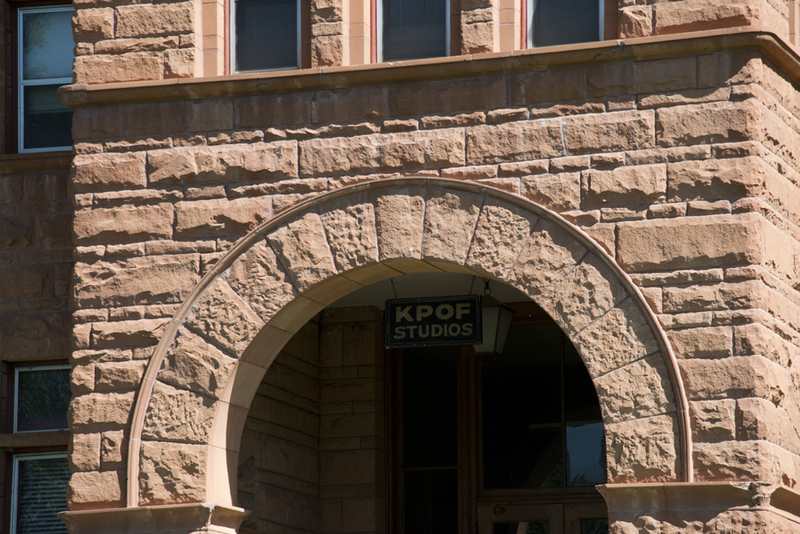 In 1928, POF started KPOF radio station, which still broadcasts today, making it the oldest continuously licensed radio station in the state. The school became Belleview College in 1926, still under the auspices of Pillar of Fire. That college eventually went under, but Pillar of Fire still owns the campus and operates a Christian K-12 school there. Now, the building is known locally as the Red Castle or Westminster Castle. It’s been on the National Register of HIstoric Places since 1979. Now you know!